Oil slipped after the industry-funded American Petroleum Institute was said to report an increase in U.S. crude stockpiles, according to Bloomberg. Futures in New York lost 0.4 percent, paring Tuesday's 0.8 percent gain. U.S. inventories rose by 1.63 million barrels last week, according to people familiar with the API data, Bloomberg reported. "That contrasts with a Bloomberg survey before an Energy Information Administration report Wednesday that forecasts a 3.5 million-barrel decline, which would be the 13th drop in 15 weeks," it said. Read alsoUkraine cuts oil output by 6.3% in H1Oil has lingered below $50 a barrel despite an agreement by the Organization of Petroleum Exporting Countries and its allies to curb output amid stubbornly high global supplies. Concern is growing that the deal may fray after OPEC-member Ecuador said this week that it won't be able to meet its pledged cuts. "The market is expecting to see stockpiles shrinking as we've entered the driving season," Kim Kwangrae, a commodities analyst at Samsung Futures Inc., said by phone in Seoul. "It's alarming Ecuador has said publicly it will exit the output-cut deal because it can set a precedent for other member nations, which may put the entire agreement in danger." 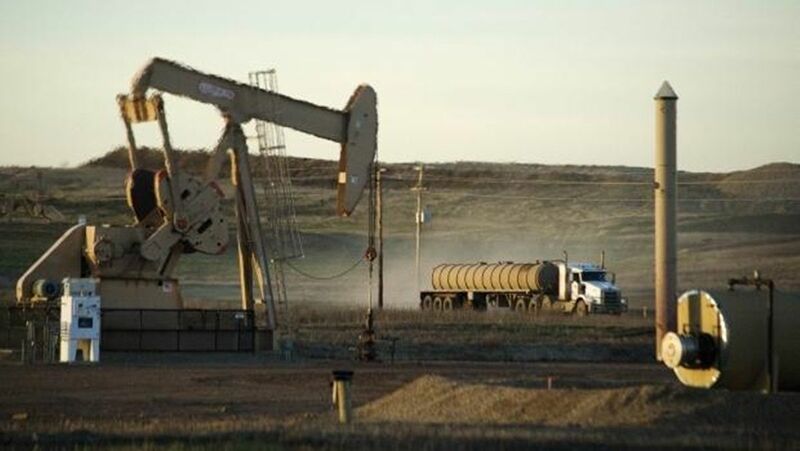 West Texas Intermediate for August delivery, which expires Thursday, was at $46.22 a barrel on the New York Mercantile Exchange, down 18 cents, at 7:45 a.m. in London. Total volume traded was about 15 percent below the 100-day average. Prices advanced 38 cents to settle at $46.40 Tuesday. The more-active September contract lost 17 cents to $46.42. Read alsoReuters: Oil prices stable as strong demand meets ongoing supply glutBrent for September settlement slipped 17 cents, or 0.4 percent, to $48.67 a barrel on the London-based ICE Futures Europe exchange. Prices gained 42 cents to end Tuesday's session at $48.84. The global benchmark crude traded at a premium of $2.25 to September WTI. Ecuador Oil Minister Carlos Perez said late on Monday the nation will start raising oil production this month, arguing it needs the money. On Tuesday, after speaking with Saudi Arabia's energy minister, Perez issued a statement saying his country and the Saudis remain committed to reducing inventories to a "normal" level as part of OPEC's strategy to boost crude prices. Crude stockpiles at Cushing, Oklahoma, the delivery point for WTI and the biggest U.S. oil-storage hub, climbed by 608,000 barrels last week, the API was said to report. They probably declined by 1.5 million barrels, according to a forecast compiled by Bloomberg. Meanwhile U.S. gasoline inventories fell by 5.45 million barrels and distillates by 2.89 million, according to the API.